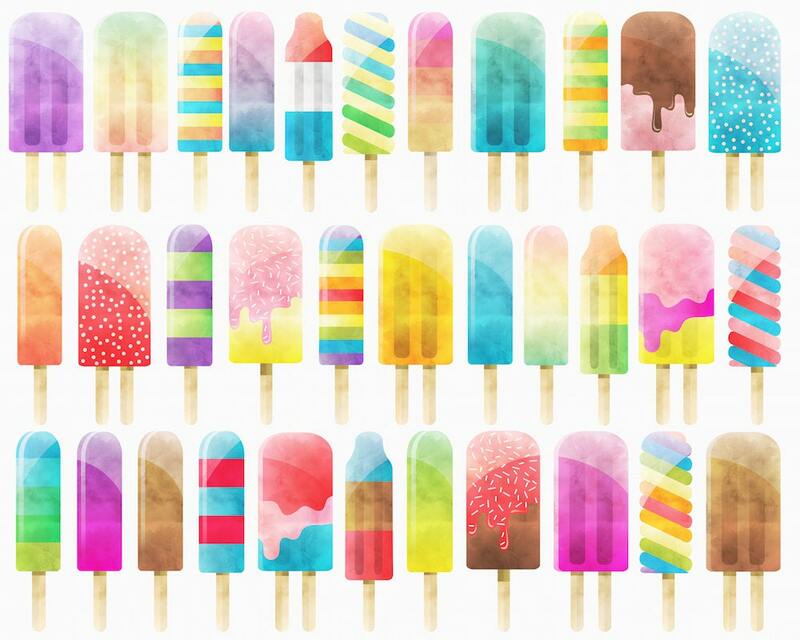 Watercolor Popsicles Clipart Set - 33 PNG files - Colorful, Hand Drawn, Textured Sweets, Ice Cream, and Summer Treats! This listing is for a set of 33 colorful popsicles, ice cream, and summer treats & sweets with a beautiful watercolor texture. Perfect for use in scrapbooking, party invitations, greeting cards, decorations, and much more! !